Welcome to my Blog . . . Sabaidee . . . Thanks for the visit, my name is Nye. I was born in Laos, moved to Thailand at a very young age, and had some schooling there, our family later moved to America. I grew up in New York City, and currently living in the Southeastern part of the United States. I like to photograph living life photos, one of my favorite quotes is“Life is like a camera, just focus on what’s important, capture the good times, develop from the negatives and if things don’t work out, just take another shot.” – Unknown . When I have time, I like to read and translate Thai magazine articles and find some of their stories and culture to be interesting because it’s very similar to our culture. I hope you’ll enjoy reading my story and translation as for most of these stories are based on real-life experiences of people living in Laos, Thailand, and The United States. FAIR USE NOTICE: Nye Noona contains copyrighted material the use of which has not always been specifically authorized by the copyright owner. It is being made available in an effort to advance the understanding of environmental, political, human rights, economic, democracy, scientific, and social justice issues, and so on. If you’ve any questions or concerns, please contact me at nyenoona@gmail.com, thanks again for stopping by. Hi Nathan, I believe that it is copyrighted by Huntz, this is the the original source of the photo, you might want to contact him directly. I’d like to know if the “chili-pepper-madness” image is copyrighted and if so do you mind if I use it for my site. How are you? hope you are very well. Can you send mail to me? because I lost all contact in address book. Jade, I replied to your comment via email. I immediately changed the authorisation settings to view the different locked Video’s again on non Vimeo locations. Unfortunately an error message appears on all locked Videos “Internal error Vimeo Team will repair it”. When i do not know !!! In the mean time i cannot change it. Hopping they solve it soon. Once this is solved i will allow only known WebSites, yours will be included. So please give the URL or Domain of the different locations. Cambodja, deelreportage van een 17 daagse reis door Vietnam Cambodja en Laos. Hi Francis, thanks for allowing us to view your videos, and I will check back and revise my URL at my posts when it’s fixed. As I’ve mentioned to you earlier, we do love your videos, especially myself and greatly appreciated that you’d include Nye Noona into your video listing, and thank you for your visit and comment. I enjoy reading your blog and thank you for visiting ours. Would you be interested in listing us on your blogroll, I owuld be happy to post yours on The Melting Tambourine. Please let me know. Thanks! Hi Bob, I’d love to exchange link if you don’t mind that mine is an oddball. I see that PaNoy has made it to The Melting Tambourine already. 🙂 I added yours to my blogroll. Please contact me directly at apierpoint@ucdavis.edu to discuss this further. Hi Annie, thanks for your interest, I’ve replied this message via email. following an article on thaicatwalk concerning the launch of a new brand name lingerie, I would be grateful if you could introduce me to Metinee Kingpayome or someone ine Jintana. Indeed, I am a distributor of Lingerie in Europe and I could be interested to get further details about this new brand name products. Hi Ykhao, I’m just a blogger and don’t know these people on a business or personal level. If you’d, please contact Jade at Thaicatwalk and he might be able to help you better, or at least give you a contact information because he lives in Thailand. Sorry that I can’t help you more than this, and wish you best of luck. Hi Nye, I really enjoy your post and your pictures are exceptional. I am new SLR owner and was wondering what kind of lens you have? I just got myself a Canon XSI. Hi Joy, thanks for your kind words. I’ve a Canon EOS Digital Rebel XTI, and I upgraded the lens to EF 24-105mm f/4L IS USM, it was recomended to me by a professional photographer. Just come to say Sa Bai Dee to you. No, You do not need new equipment, Your Photographic Skill and your knowkledge of the photography are Great and Fantastic/ Awsome already. The Good/ Great Photos are from 80% of the skill of the person who press the shutter, 15% from the good Lens and Only 5% from the Camera Body. Thanks p’Odd for your kind word, I’m not sure what kind of skill I have, but taking pictures make me happy. Someday, I like to get a telescopic Lens, I want to go bird-watching. 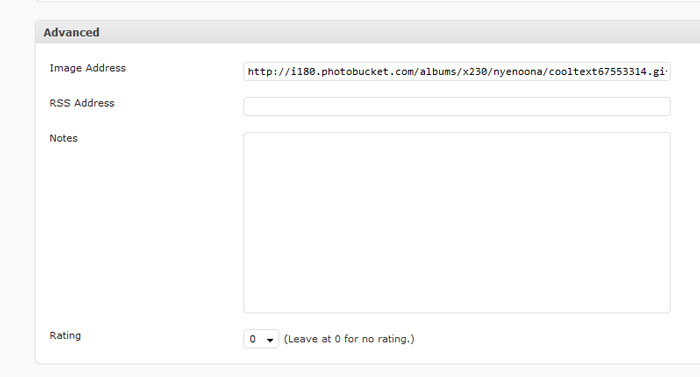 You have really beautiful photos on this blog. I don’t know if there are from you, but I could be interested in some of them (purple rice photos). Please contact me by email to talk about rights and possibilities of uses. Hi Aurélie, thanks for your interest and I’ve replied to you via email. You know I never got around to saying Sabai Dee to you my friend…so, here I am saying Sabai dee! Thanks so much for your kind comments on my posts and for sharing your stories on my blog. I am most grateful for them. I am sneaking into your blog for a few months, enjoy it very much, keep good work…I miss home, Laos! Thanks for your comment, it’s good to hear from you and I think it’s the little things that we share on the Internet that made us feel connected and closer to home, I miss Laos also. Hey, I’ve been enjoying your blog. I really like your random post button and was wondering if you could help make my own random post button. Hi Maggie, I created my logo at cooltext, and posted it at the Links, here is the set up for my random post link, as for you, just replace my blog name nyenoona, with your blog name maggiescamera. And to add the photo or any cooltext image, scroll down to the bottom, and you’ll see the part where they let you insert an image url, and this one I used to post my photos at photobucket, but you can load it to your blog and get the url of the cooltext image and post it here. I hope this will help, if not then I can write a post for you. I love your blog. I live in Khon Kaen. Hi Timothy, thanks for your visit. My sister Sun is very talented, and I’ve learned a great deal from her. She visited us on New Year’s Day and we went to the temple together. It’s nice to meet you. Hello, Just wanted to let you know that I enjoyed reading your blogg. We enjoy stopping by for a read now and then and would love to have you added to our blog – stop by ours soon and let us know if you dig it? Just wanted to let you know I enjoy reading your blog! In addition I also love the blogrolls you subscribe to. I just started my blog not too long ago, so if you have time you should stop by or add me to you blogroll. I’ve visited your blog earlier but couldn’t leave a comment. I do love your mom’s garden and would love to have big garden like hers. What a nice surprise to stumble on your blog. Saibadee. My mother is Lao. I’ll enjoy a nice tramp through your stories. Rather than take other stories that are not Laotian, just focus on what you know, experienced. There’s lots of things that you know that we don’t know who are non-Laotian. Best of luck with blogging adventures! I m doing research about southeast asian myths and legends referring to animals, symbolism and cosmology nature/animal world related….do you have any suggestion, favourite myth….? thanks!! Hi Marcella, I think my favorite has to be Naga, and I was fortunate enough to visit Wat Prabath Phonsanh in Laos that has story and belief about Naga. You can read more about the myth here. Nice to see you again on Sunday at Wat Greensboro. I have a lot of your Photos–How can I E-Mail to you ? Are you Facebook member ? I visited your sister’s blog earlier, and do love her blogging style. I’ve subscribed to her blog. Sabaidee, great blogs. Is there a function to be kept posted on your new blog? I like how you blend your life in the US and your ties to Laos. Hi Lili, thank you and I’ve checked your blog on Lao wedding, it’s quite interesting. My blog posting is a combo of interest and events and not very formal. 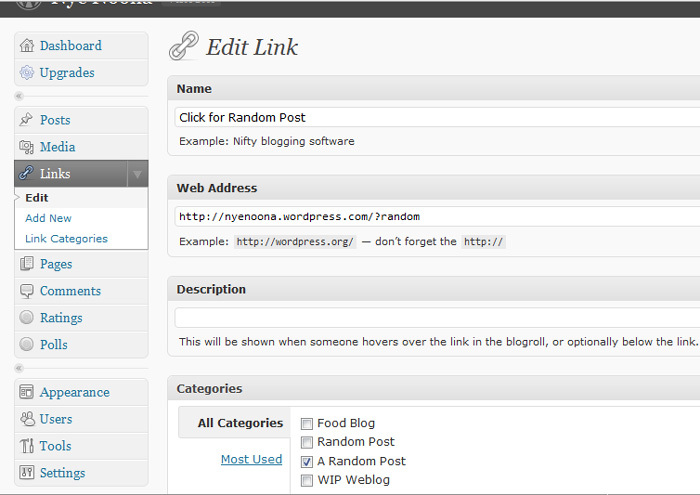 I use the free theme provided by WordPress.